Google advertises YouTube TV with unlimited cloud DVR storage space, but it's not like that matters. More often than not, YouTube TV swaps out your "recorded" shows for the video-on-demand (VOD) version with unskippable ads. 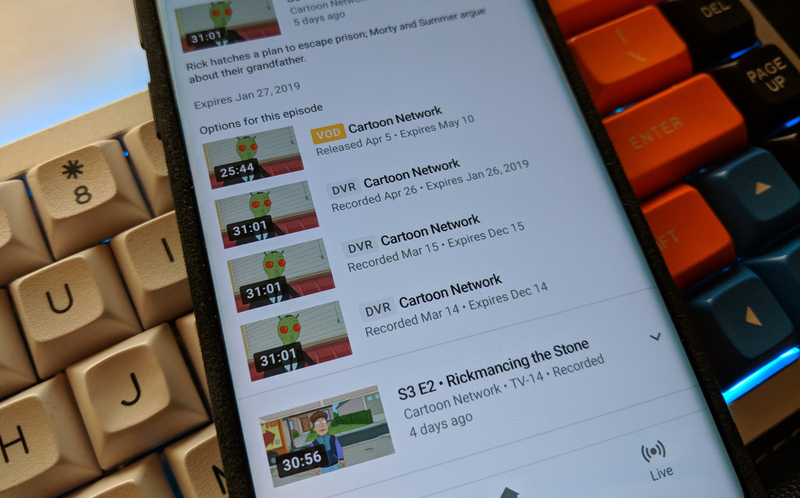 It's easily the most annoying thing about YouTube TV, but that's finally starting to change. Some channels now let you choose between different versions of your saved content. YouTube TV will now list multiple versions of TV shows and movies that you've added to your library. Just tap the drop-down arrow next to an item, and it (might) show you the versions recorded straight from the live feed (traditional DVR-style) in addition to a VOD version. The DVR versions will have the same ads that the station aired live, but you can skip through them. The VOD most likely has unskippable ads. Unfortunately, this feature is not available on all channels. Stations that really want you watching those VOD ads can disallow access to the DVR versions, which is dumb. This feature appears to be rolling out sans app update—we haven't seen any hint of the new dialogs in APK Teardowns. The first reports were about two weeks ago, but I only saw the popup a few days ago.